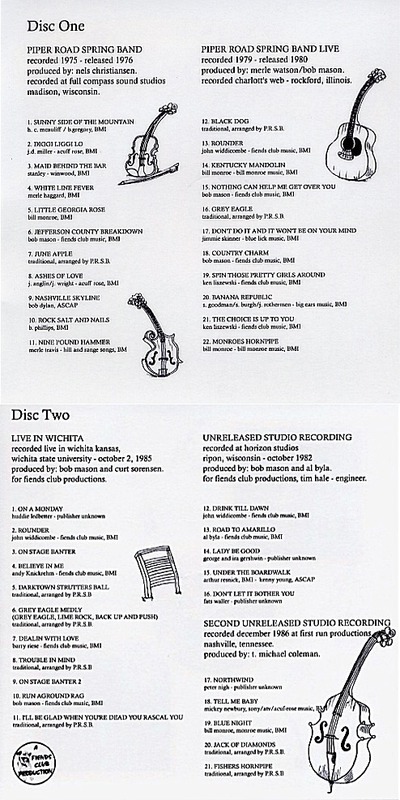 This album includes selections from our 1st LP, "Piper Road Spring Band"; our 3rd LP, "Live" (from Charlotte's Web, Rockford, IL); a previously cassette-only released "Live in Wichita"; and two never released studio sessions. 2 disks. This page takes a little while to download. Please, stick with us.